Here’s one of the first shots I took with my Lumix G9, on a flight from Denver to San Antonio. The quality was pretty good considering that it was taken through a not very clean airplane window. 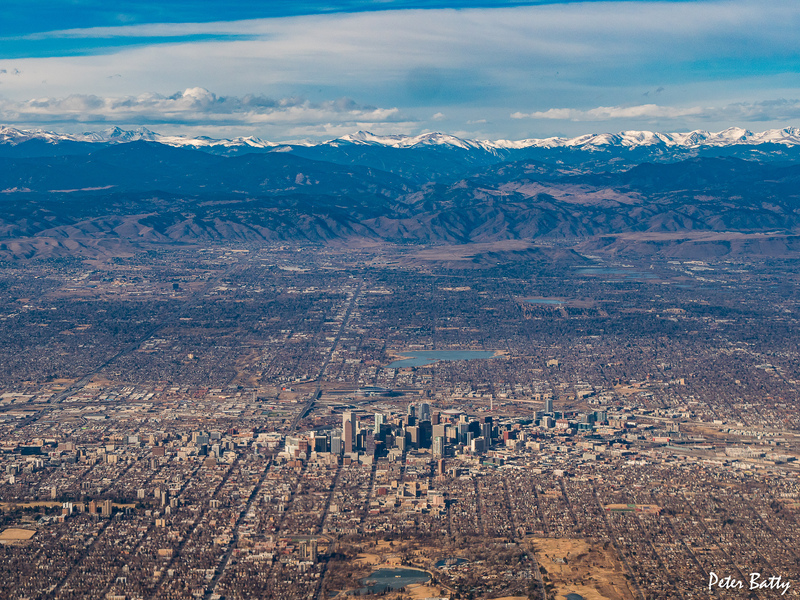 I used the Dehaze slider in Lightroom to bring out more details in the mountains especially, but the city too – see the original image below. You can see the full resolution image here, if you would like to check out the details more. At 100% the image isn’t totally sharp, probably mainly due to the effect of the plane window, but you can make out quite a lot of places downtown.